Activities for young and old alike, catered meal or pot luck, a "headquarters" facility and a reasonable price - everything you need for a memorable family reunion is yours at historic This Is The Place Heritage Park. Rent a pioneer-era building where your family can gather throughout the day and enjoy lunch together. Younger members will enjoy the pony rides, Pioneer Playground, mini-train and "hands-on" crafts to make. 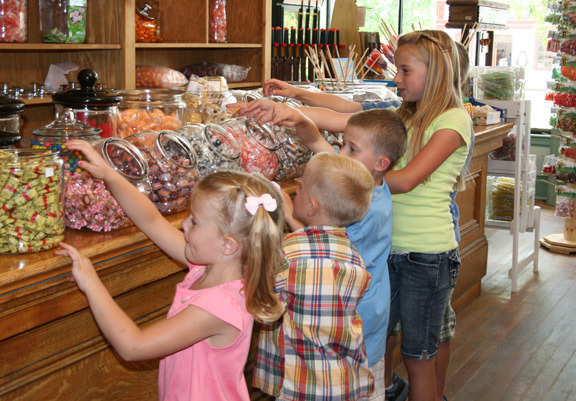 At their leisure, parents and grandparents can explore the pioneer homes and shops in Heritage Village, and watch authentic trade and craft demonstrations. Three replica trains give everyone a relaxing and fun way to see the entire 450-acre Park and the same view of the Salt Lake Valley that Brigham Young saw when he declared, "This is the right place." Sure, you can rent a building almost anywhere. But when you rent one of ours, we also throw in a discount to the Park and 150 years of heritage as well. There simply is no better value or venue for your reunion than This Is The Place Heritage Park. For more information call 801-924-7507 or fill out the form below and someone will contact you.